Have you been seeking the best bodybuilding supplement due to poor muscle gains? Join the club! I was seeking the best bodybuilding supplement for years, hoping that I could find a product that would finally lead me to building muscle mass fast, yet, despite the powerful advertising, I did not experience the positive changes that bodybuilding supplements were promising, and was left searching for a legitimate muscle building solution. The truth is, bodybuilding supplements are not the answer to building muscle mass, but rather part of the problem! Why with every product claiming to be the best bodybuilding supplement on the market, why are they so ineffective at producing the very results they promise? More importantly, how can bodybuilding supplements survive as an industry given their lack of potency? The answer is difficult to digest, but very simple; since most of us do not achieve any significant muscle mass gains, we become frustrated, and feel that bodybuilding supplements, promising to easily rectify our disappointment, must be the missing piece to the muscle building puzzle. Due to lack of results and no apparent solution, bodybuilding supplements become the assumed prerequisite to muscle building, an easy answer to a frustrating dilemma, and people then begin to truly believe that they are the mysterious key to body transformation (since there seemingly is no other choice!). Similar to a football player’s helmet or a baseball player’s glove, bodybuilding supplements become a perceived requirement in building muscle mass, and the quest for the best bodybuilding supplement then becomes the number one priority. 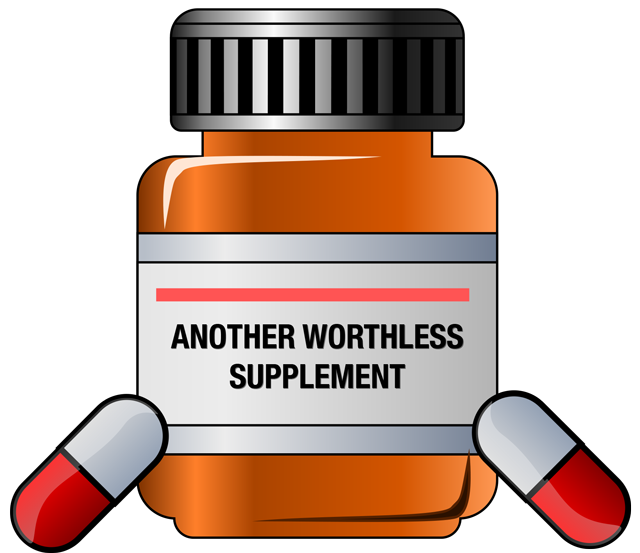 Why do so many achieve nothing with bodybuilding supplements despite the convincing arguments claiming their necessity? Good question, and one that companies who claim to sell the best bodybuilding supplement will quickly answer by claiming that your weight training or diet plan must be delaying results; well, they are correct, but conveniently fail to mention one other important revelation, as although the disappointing muscle mass gains are clearly related to a poor diet and weight training routine, your lack of muscle building progress is also a sign that the very bodybuilding supplements that claim to boost results to unheard of proportions are not as they seem! So, if we can all agree that the reason behind lack of muscle mass gains is a poor weight training and diet routine, then does that not stand to reason that bodybuilding supplements may not be necessary after all? Weight training without bodybuilding supplements sounds illogical! It might to some, because we’ve been trained to believe by endless advertising campaigns that muscle mass can only be gained after a trip to the “health” food store to purchase the best bodybuilding supplement, but after doing so, the only change any of us experience is a much lighter wallet! So when we fail with bodybuilding supplements once, then why do we continue experimenting with such products? Because we are CONFUSED! Early in my bodybuilding career, I assumed that finding the best bodybuilding supplement must be the answer to achieving my own personal muscle mass goals, so when I failed with one, I did not spend the effort to analyze what this was logically telling me, but instead, opted to try another. Why not? The bodybuilding supplement advertising always sounds convincing, and it’s legal, so what do I have to lose (other than $50+ on every bottle)? But at what point does ignoring the facts become complete insanity? Maybe after trying the second batch of products that claim to be the best bodybuilding supplement available and achieving nothing close to what was advertised? Or the third? How about the fourth? Tenth? The fact is, all of us who have experimented with bodybuilding supplements seem to develop a compulsion to continue trying and and again with the hope that one will finally prove to be the best bodybuilding supplement on the planet, because, of course, they ALL could not possibly be offering false promises (or could they?). There must be at least one bodybuilding supplement that provides at least a small percentage of advertised results, and why not continue searching until we find it? This, of course, is the foolish premise we feed ourselves because of poor muscle mass gains. Companies promote their product as the best bodybuilding supplement available, promising our every wish in one clever advertising campaign, and we in turn experience a small bit of hope that maybe the NEXT product IS the often sought after road paved with dramatic muscle mass improvements, and who benefits? The companies selling bodybuilding supplements! But what if i actually find the best bodybuilding supplement, one that work … will it be healthy for me to consume? This is the question few ask themselves unfortunately, but please consider how a product that claims to be the best bodybuilding supplement, advertising superior muscle mass gains than can be produced naturally, can do so with the assurance of no adverse long term health impact. They simply cannot, as no unbiased, legitimately conducted long term studies exist on how such supplements will impact our body long term, and with cancer reaching epidemic levels, there is a strong potential that such bodybuilding supplements are playing a role in harming our body’s ability to function as intended. This is exactly why the hunt for the best bodybuilding supplement becomes a guaranteed losing proposition, as most do not work as advertised, and if one is found that does (good luck in such a search! ), then you are posing a risk to long term health that suddenly makes bodybuilding a foolish pursuit. To those who feel legality ensures safety, consider that we are by law protected in our right to smoke, despite the fact that such a habit is proven to cause lung cancer! This is just one clear example of how we can legally destroy our lives if we do not practice prudence in the decisions we choose to make. Is the best bodybuilding supplement simply to eat & weight train correctly? Most unfortunately cringe at the idea that their poor muscle mass gains are simply a consequence of mistakes in their weight training and diet routine, mainly since, psychologically, it’s far easier to accept swallowing a pill or mixing a powder as the quick solution, when the alternative, which is finding a new diet and weight training routine, seems daunting in comparison, especially with all of the contradictory magazine and Internet advice. Because selling products that claim to be the best bodybuilding supplement available is far more profitable than offering a legitimate diet and weight training solution, most companies shy away from teaching people how to legitimately gain muscle mass, as they know that by doing so, he need for supplements suddenly disappears! It’s easy to mislead others into buying “the best bodybuilding supplement,” but very difficult to market the truth to building muscle mass. If I were to begin selling bodybuilding supplements, I could earn a large effortless income (as many do), but I could turn this idea into a literal goldmine by merely showing a transformation I made through proper weight training and diet techniques, and instead of crediting my routine, erroneously claim that certain bodybuilding supplements fueled my muscle mass gains, and sell those exact products on my web site. We see this constantly with professional bodybuilders who use massive amounts of steroids, growth hormone and other dangerous drugs, yet stand in an advertisement endorsing the best bodybuilding supplement they’ve found, with the goal of misleading confused bodybuilders into believing that they can in fact look like the drug abusing pro contest winner by simply using a certain brand of bodybuilding supplement that he or she endorses, when in fact, the pro bodybuilder physique is linked with illegal drugs, and has no connection whatsoever with bodybuilding supplements (the bodybuilder would look the same without using the endorsed product). My goal is to teach people around the world that the best bodybuilding supplement is a potent weight training and diet plan, and those who are achieving poor results MUST change their routine immediately, which is the key to producing impressive muscle mass gains. So the best bodybuilding supplement is… I was in the same situation as you are today, seeking an answer to building muscle mass naturally, and learned through experimentation that bodybuilding supplements do not offer the results I was seeking. So, after years of trial and error, I was able to produce over 60 lbs of new muscle mass without bodybuilding supplements or steroids, learning from the many mistakes I made during my own personal bodybuilding journey, and am now helping others build dramatic levels of muscle mass naturally, through a potent weight training and bodybuilding diet plan called MuscleNOW. Is the MuscleNOW bodybuilding program sold in stores? I am the author and exclusive distributor of the MuscleNOW bodybuilding program, and have hundreds of muscle building testimonials, as bringing men and women around the world to know and experience the exact weight training workout program and bodybuilding diet plan for dramatic, consistent, impressive results without the need for bodybuilding supplements is my goal, and based on the hundreds of muscle building success stories, my MuscleNOW bodybuilding program is a proven winner. MuscleNOW is the best bodybuilding supplement you will ever find anywhere. Remember, my goal is to see you succeed, and I guarantee that you will gain muscle mass faster than you ever thought possible with my MuscleNOW bodybuilding program, or receive a 100% refund, no questions asked. Instead of traveling the road to nowhere, invest in the best bodybuilding supplement available today, one that finally builds muscle mass naturally; MuscleNOW is the answer you’ve been seeking!